I am a big fan of High Intensity Training. Nothing is changing here, but in the last year I have lost some conditioning and it is probably my fault. Before I say where things went wrong, let me go back to my first true HIT workout. It was in February 2011 from legendary trainer Greg Anderson at Ideal Exercise. Unlike the Glitter Gyms, the temperature at Ideal Exercise was a crisp 61-62 degrees. I love it. Back when I was in Queen Anne at Prorobics, I’d open the window even in the dead of winter to drop the temperature in the free weight room. I later learned from an interview with Dr. McGuff that 61 degrees was ideal for generating the most intensity. Intensity is not about increasing your core temperature and sweating off calories. Intensity is about recruiting maximum muscle fibers in a brief and safe manner. Weight training will increase your core temperature, so starting from a cool temperatures will allow you to be comfortable and not hot when lifting. Therefore you can direct more attention and energy into the weights. So I took what I learned from Greg Anderson and returned to my Glitter Gym. Glitter Gym is the term I use to describe all the big corporate gyms with lots of lights, mirrors and shiny equipment. Basically all modern gyms are now Glitter Gyms. The problem I ran into was that I quickly got headaches at high levels of intensity, because my gym was warmer. Because the intensity comes on so quick in HIT and it comes on faster when it is warm, I would get sharp immediate headaches. Over the years, I have resolved this problem by dialing back the intensity and increasing the volume. For me the secret sauce of HIT is not primarily about intensity, it is about safety. By not getting hurt, one could on a long enough time horizon make more gains even if the workout was less than optimal. I strongly believe that most brotards under estimate the risk and duration of injury, especially as we age and the weights get heavier. Enough background. I believe I’ve underestimated the volume needed to compensate for reduced intensity. Because I’m not hitting that deep level of failure at the hot gyms, just bumping up the volume to additional set or additional day at the gym has turned out to not be enough. I noticed this recently when I tried out the endless rope machine. It humbled me on just how unconditioned I had become. As the average temperature in my gym went from 68F to 71F (20C to 21.7C), my level of effort went down, but my volume stayed constant. The past few weeks, I’ve increased my volume from 2 sets to 5 sets for the major exercises. I’m still doing mostly machines at a slower tempo, but not the SuperSlow and not to failure. But this still might not be enough. As much as I can complain to the gym, they will never lower the temperature. The temperature at the gym is not set for what is best for the patrons, but for the staff. It baffles me that a group of fit mostly 20 year olds need to wear layers of clothing in a 70F gym. I wear a tank top and get hot just doing warm up exercises. I fully understand and appreciate the dismissive view of cardiovascular training from the HIT community. I’m on board with it, provided you can actually do true HIT at a cool temperature with a legit trainer. That is expensive and unrealistic for the vast majority of people wishing to get fit. Regarding conditioning, I do believe there is a lot of differences in how conditioning is defined and how it differs from skill. I view skill in the context of a specific sport or recreation. By engaging in deliberate practice one can become “conditioned” to that sport. But if I am not a runner, why should I care to run? Or cycle? Or whatever your sport happens to be. Muscular strength is the single most trainable factor in endurance performance. It is the muscles that actually perform work. When strength increases, the relative intensity of any given task decreases. If you don’t know if you will be called on to swim, hike, run, cycle, ski or climb, the best training course of action is to just get stronger. If however, you know what you need to do then it also makes sense to train that sport. Dr. McGuff tells a story of two overweight soldiers that trained on a stationary cycle for a Physical Fitness test. While the rest of the unit was in better shape, when it came time for the test on the cycles, the overweight soldiers got the best times. Were they the best conditioned? Depends upon how you measure conditioned. Had these two been asked to run instead, they would have likely finished behind the rest of the unit who all had more general transferable levels of conditioning from being stronger. But on that day on those stationary bikes, those two soldiers demonstrated the highest level of conditioning. The idea here would be the same in that I don’t know what skills I would need to demonstrate conditioning, as I have no sport, but whatever they happen to be these 7 movements would provide an additional foundation on top of weight training. Maybe I am misguided here? Your thoughts? My first thought when I read this was to wonder why you don’t just do HIT outside? I think you have mentioned training outside before so I’m sure you have your reasons but it seems a good way to avoid too much heat most of the time – at least it is in England! I largely follow Drew Baye’s Project: Kratos bodyweight protocol. I am lucky enough to have an outdoor gym near work but was able to adapt most of it to work in a playground before that. Long-time reader, first-time commenter BTW; you got me into HIT and it’s been wonderful, so thank you for that. And straight after commenting I see https://criticalmas.org/2012/01/outdoor-hit-too-cold/ ! I do wear gloves myself in autumn and winter – grippy SealSkinz – to fend off the Raynaud’s which I believe low carb paleo has blessed me with. I’ve found tweaking layers of army surplus has kept me warm enough to work. My only weather issue is when the ground is slippery. @David – Now that I am back in Seattle, some outdoor HIT is an option. I still am interesting in going to the Glitter Gym and solving my HIT question for not only myself but for others. I also go to the Glitter gym for the sauna and steam rooms. Lately I’ve been experimenting with just observing how my workouts make me feel. Tired? Energetic? Strong? Relaxed? Optimistic? Sharp? I’m optimizing for how I feel overall, because my “sport” is basically just living my life– working, spending time with friends and family, and taking care of ailing family members. This method can be hard to implement, however, if one is used to having specific targets to shoot for, likes pounds, reps, weight, or bf %, as it feels a bit aimless. A few questions: What are your goals? What are you willing to invest (time and effort)? What are your other options? I say this, because I think 80-90% of the benefits of high intensity exercise can be had working out once a week in a bodyweight fashion (e.g., Drew Baye, James Steele) in an air-conditioned room in your home in ~10-20 minutes at MOST with some cheap equipment (door pull-up rig, pushup handles, suspension trainer for rows, maybe some straps). By benefits I mean increased brain function, mobility, joint and bone strength, decent muscle mass gain, glycogen regulation, krebs cycle support, mortality risk reduction, etc. Now, if your goal is to get as big as humanly possible (which I’m suspecting is not), you MAY do better going to the gym 2-4 times a week, and doing more sets not to failure. But, I suspect you’ll be sacrificing some of the above benefits, be damaging your joints more, and possible not even get better muscle gain. If you find yourself overthinking this stuff like I do, either do the above once a week (I’ve gained a lot of muscle and improved body composition from this personally) or shell at the $ to have someone at a nearby superslow gym do the thinking for you. In the spirit of “Occam’s Razor” I would suggest doing clean-&-jerks with dumbbells while standing barefoot on a Bosu ball. Two sets of 8-12 reps. That’s it – hit it and quit it! Is something wrong with lifting until failure? I feel like I only see results when I DO lift until failure (technical failure, not all-out failure). I never go to failure on squats or deadlifts, but I do on leg extensions and leg press. MAS – how about circuit training with a light (8-12 lb.) medicine ball for conditioning? Or even bodyweight circuits? Intervals with a light load and simple moves (thrusters, wood choppers, etc.) 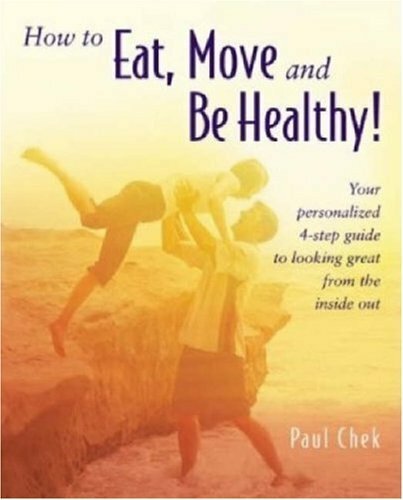 might allow you to hit all seven of Chek’s primal movement patterns safely without high levels of intensity. No CrossFit craziness like AMRAPs, just an honest effort to move your body through a full range of motion in a variety of movements using good form. @Scott – I don’t have a specific goal. I’m just looking for a way to get in better shape given that I want to go to my Glitter Gym (I enjoy going there) and that the temperature is too high for me to hit failure without getting a headache. @Rita – Nothing wrong with training to failure, unless you are like me and get a piercing headache when you try to do it at room temperature. @Geoff – I LOVE IT. This is exactly what I need. A mid sized medicine ball taken through the 7 Primal movements for reps. Perfect. I will start this next week. How about wearing an ice vest/back of the neck ice pack at the glitter gym? I’m serious. I recently read The Endurance Handbook by Phil Maffetone, and took on board a number of the lessons there, as a 43 year old dude whose sport of fun is squash. He advocates dedicated aerobic conditioning sessions for one’s training to add to the capability of that energy system in the body. It’s basically working at the hardest level at which one can still tap into the fat burning energy system, and building up capacity through volume, not intensity. That plus an appropriate diet (which based on reading your blog, you’re probably there) help to build the body’s aerobic system. What’s interesting / frustrating about that kind of training is that when you first start to do it, you will be surprised at how little effort it takes to get to the right level of effort to be in the zone for the right training effect. After about 3 months of adding this type of training to my regimen, I find that I am better able to recover from hard efforts in the weight room or intense squash games than I was in the past. The main downside is that the workouts / training can seem quite boring – long run/walks or sessions on the rowing machine aren’t exactly stimulating and don’t give the same sort of buzz as a squash game. However, I’m working on adapting the principles to more lower intensity / drill based sessions in a squash format to double up the training effect – aerobic plus skills. Tawnee Prazak at Endurance Planet spends a lot of time addressing the principles Maffetone advises on her blog, so it is an excellent resource for understanding the benefits of that kind of training. @Diana – Interesting. I saw the shoulder one on Amazon for $15. I wonder if it would stay on during a workout? @Brock – Thank you. That all makes sense. I was starting to feel like a HIT heretic. Maybe it is more than temperature. Your love/hate relationship with HIT has puzzled me for years, especially the unstable closure that you’ve achieved by focusing on safety as the key part of HIT. Shouldn’t safety be part of any workout program? I would think that *high intensity* is the defining attribute of HIT, not safety, hence the name. When I started HIT a couple years ago after reading Body by Science, I was a big fan too. Steady strength gains every week for about three months–it was great. Then I decided to go for a short run…and I was shocked that my legs gave out and I was huffing and puffing after only five minutes. HIT gave me hardly any conditioning at all. Maybe I just have a weird body type. So I switched to low-intensity / high frequency: 50 pullups and 50 pushups three days a week (spread over many, many sets, never going close to failure) and a 2 mile jog three days a week (never to the point of discomfort). I got the same steady improvements in strength as with HIT (plus steady conditioning improvement I didn’t get with HIT) *but* the low physical and psychological stress make it easy to stick to and there’s no DOMS. The biggest shock from the high frequency training (HFT), though, was the changes to my naturally skinny-fat body: I now have muscles. My shoulders, upper arms, and back are noticeably bigger, I no longer fit in my sports coat, and many of my t-shirts are now skin tight. No, I didn’t gain any weight, nor did I lose any, but I sure look a lot better. Since you’re sort of going in this direction anyway, have you thought about giving HFT a shot? It would certainly solve your issues with heat. @Greg – RE: safety – I don’t believe you can slow the tempo of the main classic weightlifting exercises and still lift safely. Maybe in the short run, but eventually a bad rep will get you. What I like about HIT mostly is the selection of low skill movements that can be performed slowly and safely. HFT sounds interesting, Taking what I’ve learned about safety, tempo and exercise selection, I can now apply those lessons to other forms of lifting. Thanks. One of the best techniques that I’ve incorporated into my training within the last 9 months was the addition of a brief isometric squeeze BEFORE I start the exercise. I got the idea from Chad Waterbury. He wrote an article about it. I think of it as priming the pump. Still amazed at what a difference it has made in terms of recruiting the target muscle. @JM – Cool idea. Thanks for sharing. Greg’s HFT sounds very similar to Pavel’s Grease the Groove (GTG) training, and part of just keeping mobile/active during the day to counteract the effects of sitting. GTG moves are generally done with bodyweight exercises, as Greg suggests (pullups, pushups, bodyweight squats, etc.). One important element of HFT/GTG and the Maffetone type training is as you prefer: safety. It possible with these methods to get a decent amount of volume in, while still getting a lot of rest or and without over-taxing the system. Especially as higher levels of fatigue can contribute more to probability of injury. I think that changing exercises and intensity sometimes have positive effects on mind and body. One set to failure using proactive tension. Once every three(possibly even two) days.